Paul, KB4GYT will be active as V25PM from Falmouth Harbor, Antigua between April 27 to May 4, 2013. Holiday-style operation on CW, SSB and PSK31 using KX3 with various wire antennas. QSL via H/c. Tom, KC0W has announced he will be active from St Vincent as J8CW. Dates not yet known but this will be a 100% CW DXpedition. More info soon. 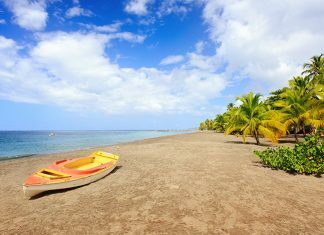 Ismo, OH2IS will be active from Martinique as FM/OH2IS between February 18-28, 2018. QRV on HF bands. QSL via H/c, LoTW / Club Log. UPDATE - John, 9H5G/C6A departs Nassau on Saturday and hopes to be active from Little Harbour, Berry Islands NA-054 sometime on Sunday, March 30th. QRV for 10 days, SSB/RTTY/PSK. See KK4OYJ blog for more info.